Half an hour into last night's game, it would have dawned on Spurs fans that they had gone into it with a totally misplaced sense of optimism. 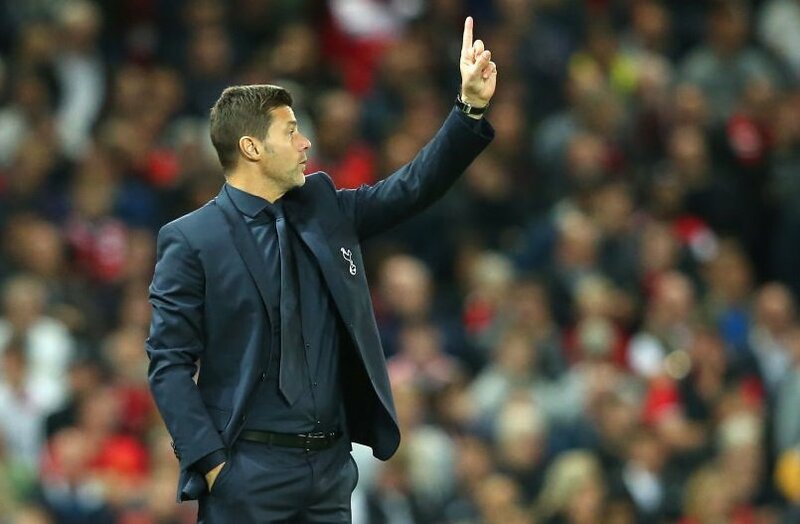 Yes, Pochetino's men had started the season reasonably well, and United were seemingly a club in disarray, but how could anyone forget Spurs' dire away record against the top six and the fact that the Lillywhites have a worse win-rate against the Manchester club than any other in their history? It's not easy to explain what happened in the first half at Old Trafford - mainly because absolutely no one has any idea where Ander Herrera was actually playing - but it was clear to see that yet again, a Spurs side turned up to a big game filled with fear and were totally overwhelmed by the ocassion. United pressed high and reduced Spurs' ability to play their normal game of playing out from the back. But, the positioning of the Spurs midfield line allowed Mourinho's men to do so. Eriksen and Dembele's starting positions were either too advanced or on the opposite side to the ball, with the pair offering no outlet to a back four that was forced to pop passes into the lone Eric Dier, before recycling the play. The north Londoners were stuck in a loop that so often ended with Danny Rose hesitating on the ball and allowing himself to be closed down. The left back lacked any form of composure or ability to make quick decisions prior to receiving the ball. He had a pass completion rate of just 37% and failed to find a team mate with any of his six hopeful long balls. Cutting Rose some slack, the Spurs shape (with Dele and Moura, in particular, getting close to Kane) meant Rose was often left without a forward option down the line. That being said, he still lacked any confidence in possession - perfectly illustrated by his rushed back-pass to Lloris, which should really have seen Spurs go a goal behind. 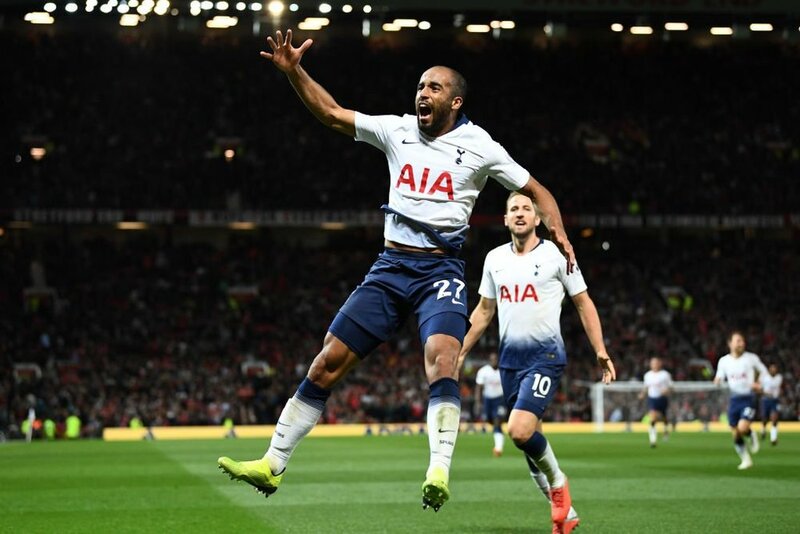 Somehow, Tottenham made it to half time at 0-0 and the lively Moura - coupled with United's vulnerabilities at the back - still gave hope of snatching the three points in the second period. The next 45 minutes played out exactly how many had expected the first half to do so. Spurs were playing with more energy and took greater care in possession. The link up play was much better and the higher positioning of the full backs allowed Spurs to dominate the midfield with far more passing options. United looked slower, Kane started winning his individual battles with Jones and Smalling, and the likes of Pogba and Lukaku just sort of blended into the background once again. Moura was immense in all aspects of his performance. His pace in forward areas is something Spurs have been lacking since the days of Bale and Lennon, and his ability to beat players 1v1 and glide past people with ease is something Pochetino will depend on in tight games this season, especially against sides that will camp on the edge of their 18-yard box. But, his work off the ball was fantastic too. His energy to press from the front and his sharp turn of pace allowed him to latch on to United's passes across the back line on several occasions. Pochetino will be pleased he was forced into leaving Moura on as the Brazilian's second goal perfectly summed up his capabilities as an offensive outlet, as well as the first line of defence. There were plenty of other positives from the game: Alderweireld looked like a rock at the back once more, Dele showed a real sense of defensive maturity with more tackles and interceptions than anyone on the pitch and Lloris got through what could have been a tricky night with a very solid display between the posts. The Spurs of old would have lost that game 3-0, not won it. The way in which the players responded to a dreadful first-half display shows the progress that has been made. In the past, Spurs have lacked that grit to go and win important games like these, so the challenge will now be to continue this for the duration of the season. It’s time Tottenham won some silverware again, and performances like these give some hope that this group of players might be able to deliver that. 1. Greater midfield rotation – a simple way to escape a high press is for midfielders to rotate positions. At times where Dier was closed down and passing options were limited, the holding midfielder should advance beyond their pressing line. Either he drags a player out to give room for Dembele to receive, or he is left as a free runner and another target for a clipped ball over the opposition’s forward players. Including full backs in this rotation (for example, Trippier pushing up and Dier sliding across) also helps create space in wide areas, where it is easier to escape from. 2. Defensive Dele – a pressing system cannot afford to carry passengers, so it was important that Dele has begun to recognise his defensive duties and carry them out so effectively. This is especially important to prevent the midfield being outnumbered when Moura plays up alongside Kane. 3. Team selection – it doesn’t need saying really but a team with Moura and Alderweireld in it is better than one without them. Their full introduction into the starting line-up this season is as good as almost any summer signing made by another club.